Formed in Portland, OR back in the summer of ‘06 by Mark Herman (vocals, guitar), Derek Willman (bass) and Keith Testerman (drums). After playing a handful of shows that summer/fall in their home of the pacific northwest they recorded their first session at the type foundry studios Portland. Resulting in 3 singles (self titled, sacred decay, entranced) along with a split 7” with Autistic Youth and a compilation track for a 7” in 2007. The session would later be issued on full length as the “Type Foundry Session 1” release (released in the u.s. by Dirtnap and Black Water records and in Japan by HG:Fact). Following this session they would release their debut LP "Static Thoughts" in 2008 on Dirtnap records in the U.S. and Sabotage in Europe. Supporting this release with a handful of tours including a full U.S. tour with friends, The Red Dons and a west coast tour with Spectres from Vancouver among others… Following these tours they would embark in a darker direction than the previous releases with their 2010 release titled "The Subliminal Man" (inspired by the story by J.G. Ballard). The songs took on a deeper and more complex sound incorporating more synths and experimental textures and sounds. In the summer of 2011 they made a 5 week tour of Europe in support of "The Subliminal Man". After their return from Europe they would begin writing/demoing more songs this time taking more time than in the past to create a more specific sound. The songs written during this 3 year period would be their best to date and would be appearing on their new Self-Titled album to be released in January 2014 by Dirtnap records and Sabotage Records. The Influences on their newest album ranging from the Echo & the Bunnymen/The Only Ones/These Immortal Souls to The Troggs/The Creation. 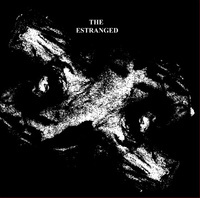 Lyrically, on this new album The Estranged have more of an enduring angst ridden approach. Testifying to an account much more personal than in the past. Musically, they experiment with even more instruments/sounds, e.g., the use of a bow on guitar, feedback loops, piano, farfisa, backwards guitar, female back-up vocals, etc. As a result showing the bands continued maturity in their song writing and in the recording process..